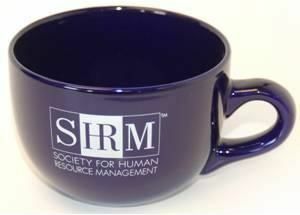 This oversized SHRM Blue Coffee Mug is one of the coziest for HR! It's great for soup, cocoa, or a big cup of Joe! The heavy duty design makes it durable. Microwaveable and dishwasher safe!